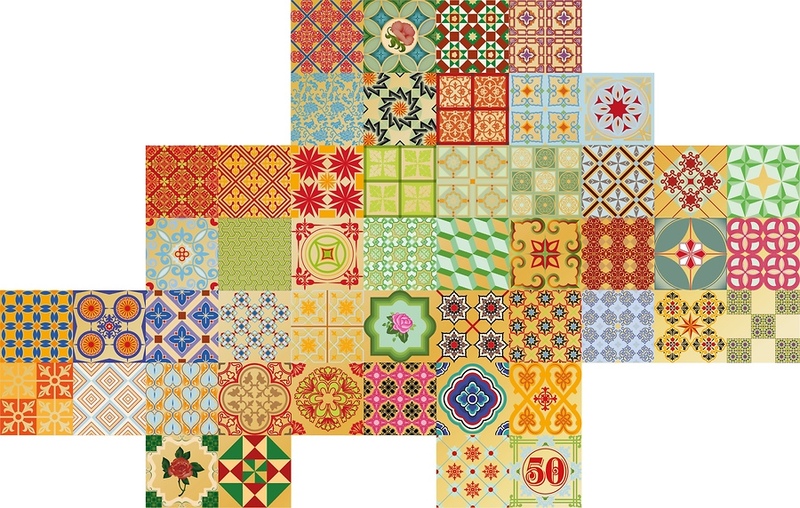 SG 50 comes from 3 months of research into tiles from a cross section of many cultures that have influenced Singapore's development. The result is a harmonious conglomeration of tiles with a contemporary aesthetic in mind. The choice of materials and medium also reinforces the shifting of a historical reference into contemporary art work. The approach is taken from the perspective of all the various cultures who contributed to its vibrant past. The traditional Peranakan tile is reinterpreted using traditional motifs as well as reimagined influences from neighbouring Southeast Asian cultures with European colonial undertones.